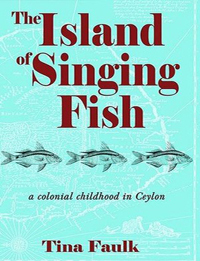 ‘The Island of Singing Fish” is a story about a colonial childhood in Ceylon which began over five hundred years ago when Roelof Dircksz, a young Dutch trader working for the East India Company (the VOC) came ashore and married into a spice trader family in Galle Fort . It is the story of a family, a community and an island, written with love, nostalgia and the yearning for an island we all once called home…. I had booked myself to stay in the small, distinctly unfashionable but welcoming YWCA in Rotunda Gardens now one of Colombo’s most fashionable suburbs, once known as Cinnamon Gardens, a Dutch spice plantation. The ‘Y’ is convenient, homely and on this, my second stay here, I feel at home, comfortable, safe and at peace. Most of the long term residents are young country girls, in Colombo to work or study while their parents in the provinces plan suitable marriages and pore over the astrological charts of potential husbands for their daughters. As I make my way along the corridor to the communal showers, early in the morning, I heard sobs only partially stifled by sympathetic, soothing ‘shssssh, shsssh’ noises of roommates, followed by a burst of Sinhala of which I can only make out ‘akka’ (elder sister), spoken in accusatory tones. 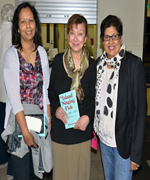 Elder Sister has upset the sobbing one; perhaps Elder Sister paid a visit to Colombo and reported back to the family on ‘nunggi’s (little sister’s) life in the capital…. The hostel girls are all pretty, they wear light, floaty skirts and modest but filmy tops. As they walk down the lane to the Galle Road, a line of pastel butterflies, the young soldiers guarding the road stare hungrily at their backs, knowing such high caste girls are not for them. 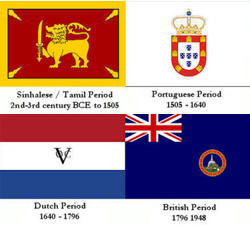 A thriving and vibrant community in Ceylon (the now Sri Lanka) for over 500 years.